Compassion started working in Dominican Republic in 1970. 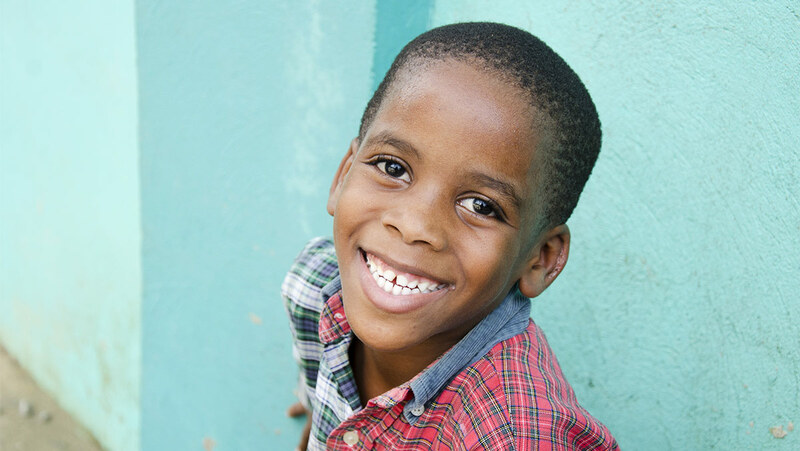 Today, there are over 65,000 children registered in our programs through 179 church partners. Greetings! 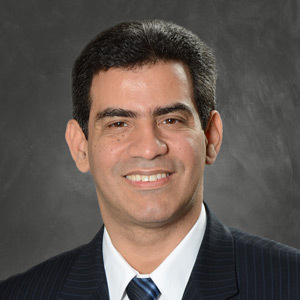 My name is Kleber Lora and I am the Country Director of Compassion Dominican Republic. I joined Compassion in 2005 after a time of prayer asking the Lord for an opportunity to serve the poor. My wife Layla and I have three children. Our older daughter came to us as a step-daughter when we were asked to be a transition home for her for a week. That week became 10 years! And now my older daughter is a teacher in a Christian school and has three beautiful children, my grandchildren. Praise the Lord! What that child was doing for the starfish reminds us about a boy that was found by a neighbour walking without shoes. His mother and grandmother passed away, he was an orphan with a living father. The child slept on the floor. His father, cousin and aunt were working; he used to eat at his neighbour’s. Nobody was taking care of him. That neighbour saw his need and talents. She used to be a tutor in a Compassion project; she brought him to church. He was registered and nowadays he has become a responsible, obedient and Christian teenager who plays the piano at church. He now dreams to go to college. Isn’t it amazing the way that God uses you and uses us to minister and change the life of a child? 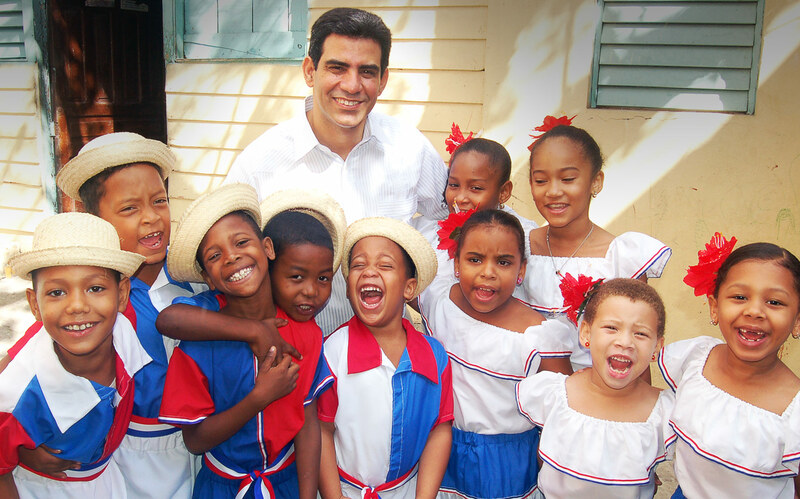 Making a difference one child at a time is what we have been doing in the Dominican Republic during the last 47 years. My heart rejoices knowing that we have reached so many children. Currently, more than 64,000 children are receiving help through 179 church partners, thanks to you. Not only do the children have the opportunity to receive Jesus in their hearts, but their families do, too. Our poorest communities don’t have a safe place for the children to play; they find that place at the program centre. Also, the children receive love, care, curriculum classes, meals and vocational training that enable them for a better future. This brings hope to our hearts. Some of the struggles we face in our country include a high rate of mortality in children under five and nearly 40 per cent of the population is living in poverty. Also, a significant challenge about mothers’ mortality at birth and 15 per cent of the population not having access to adequate drinking water, equivalent to one of each three people living in poverty. Church is like a second home for the children, but to have a sponsor is a unique blessing for each child. A sponsor becomes a friend that encourages them, tells them that they're loved, that they are in their prayers. Also, sponsors asking them in detail about their life, parents and school is a highlight of the program. Children wait with all their heart for their sponsors’ letters. I encourage you to write as much as possible to your sponsored child. Currently, in the DR we have more than 300 churches applying to open a Compassion program centre in their communities. In 2017, we want to provide new sponsorship opportunities to thousands of children in need, in partnership with at least 16 new church partners. Also, after implementing more than 20 water purification plants in the last five years, we want to facilitate access to adequate water in at least three new communities in the next 12 months. Thank you for your efforts, letters and support. Thank you for your commitment to help those who don’t have a voice. Thank you for making a difference to that one, your sponsored child. May the God of hope fill you with all joy and peace as you trust in Him! 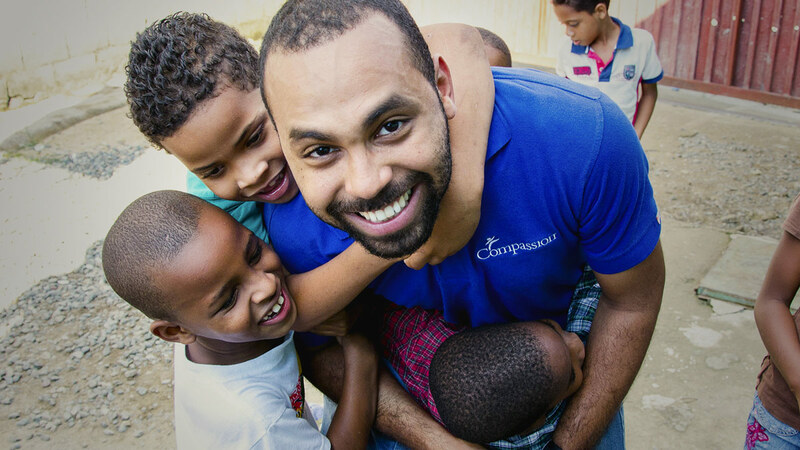 My name is Jonathan Almonte, and I work with Compassion Dominican Republic. I take sponsors to the partner churches to show them the work of Compassion, and so they can spend time with their sponsored children. I love what I do because, as a former sponsored child, I know that the most exciting moment of the life of a sponsored child is to meet his or her sponsors. My name is Jonathan Almonte, and I work with Compassion Dominican Republic. I take sponsors to the partner churches to show them the work of Compassion, and so they can spend time with their sponsored children. I love what I do because, as a former sponsored child, I know that the most exciting moment of the life of a sponsored child is to meet his or her sponsors. One tour in June 2015 impacted not only my life but the lives of many children. We made our way to the Biblical Temple San Felipe Villa Mella, located in the north of Santo Domingo. It was a fantastic time. Everywhere I looked, I saw children playing with their sponsors. But while I kept looking, I found a large group of children crowded at the entrance of the church. They were trying to get in but couldn’t. I felt compassion. I could not stand by and just keep watching. I took courage and asked the project director what we could do for them. The church let them come inside, and we invited all of them to enjoy the program for the day. I looked for the church pastor, Noes Bierd, because I knew I needed to talk to him. I needed to let him know what was in my heart and how sad it was for me to see that. And then he gave me hope. After praying and talking with the pastor, my heart filled with peace, because, through the church of Christ, there is hope for the children on the other side of the door. Arbania Martinez, a staff member, asks for prayer for the children who have special needs. Please pray that God will give strategies and wisdom to the local churches and program staff to help the children who need this extra support. Arbania also asks that you pray for children who have been abused, that the Lord will comfort and help them. Please pray for Angel, a Compassion assisted child, who is suffering from depression after her father recently died and then her mother was diagnosed with breast cancer. Please pray for healing and comfort for both Angel and her mother, and pray they will get good support. Please pray for the local churches and their leadership teams as they seek God’s guidance in how to deal with community-wide issues of poverty, especially family violence, teenage pregnancies and older students dropping out of school. Please pray that they would be able to lovingly address these issues and bring God’s grace and hope to bear. Please pray for the Compassion Dominican Republic staff as they launch a nation-wide training program called “Extending the Net”. Please pray particularly for Walkidia Batista, Compassion DR Training Specialist, and her team, as they head up the training and travel to share this new curriculum with the local program staff and volunteers. Most classroom in Australia look fairly similar. Although they might be decorated differently, you can pretty much expect to see the same things—some desks, a board, and maybe some computers. But what about the classrooms of children in Compassion’s programs? We all know education varies across the world, but so do the classrooms! Her husband hit Maria Elena, as he screamed abuse at her. Between the blows, she caught sight of her children huddled in a corner—tears streaming down their little faces. She couldn’t let this continue; she might die and then what would happen to the children? She knew someone who could fix it—for a price. But the price was so much greater than money. Even so, Maria Elena’s mind was made up. She would pay a man to murder her husband.